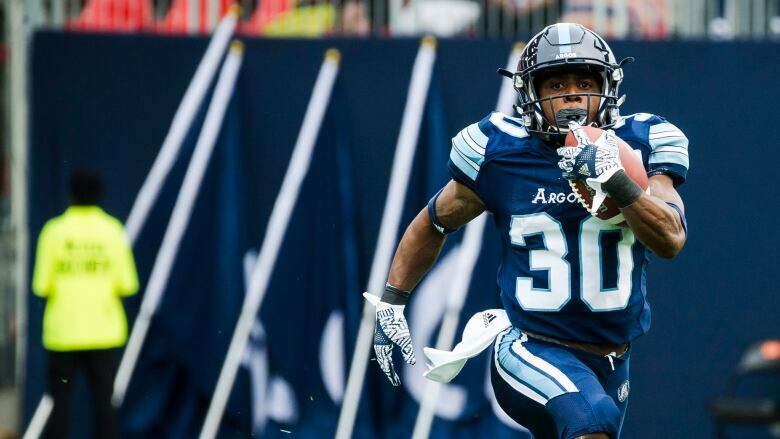 The Edmonton Eskimos have acquired international running back Martese Jackson and a conditional sixth-round draft pick in the 2020 CFL draft from the Toronto Argonauts. Toronto will receive the Eskimos' third-round pick in 2019. Toronto will receive the Eskimos' third-round pick in 2019. The deal was announced on Monday. Jackson has recorded 14 carries for 63 yards and five receptions for 29 yards in 11 games with the Argonauts this season. He also has 464 return yards on 38 punts and 747 return yards on 37 kickoffs. "Martese is one of the most electrifying players in the CFL and has been especially dangerous as a return man from day one. He's a threat to score every time he touches the ball and has proven to routinely flip the field for great field position even when he doesn't score," said Eskimos general manager Brock Sunderland. "On offence, he brings the same big-play capabilities and is one touch from changing the game."